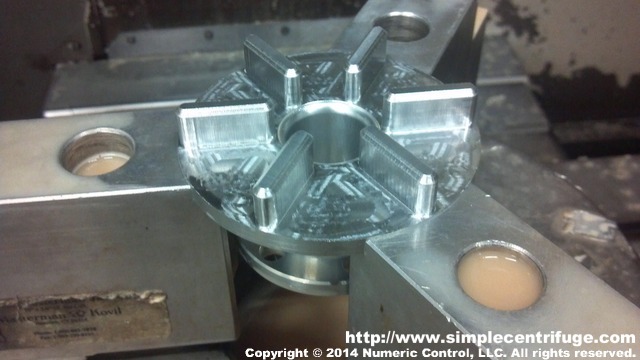 Next the rotor fins are machined into the base of the feed cone. The fins help force the incoming liquid into the rotor. The fins also help keep the liquid in a uniform motion inside the rotor.